Add the strawberries, blackberries, sugar, and vinegar to a 4-quart saucepan; bring to a boil on medium-high heat. Add the pectin at this point if using. Turn the heat down a little if it is boiling over or scorching. Boil and stir the jam for 15 minutes if using pectin, for 20-25 if not using pectin. I usually prefer a looser setting jam so I forgo it, but it's up to you. Skim the top of the jam for any "jam scum" as I like to affectionately call it (whitish foam also works) before placing in jars if you want a cleaner finished product. Sterilize (3) 8-ounce glass jars and bands. Also have on hand (3) jar lid seals. Place the hot jam into the clean jars; wipe rims with a clean towel, place lids and bands on and process in a hot water bath for 10 minutes. The unopened jars will last for up to one year if stored in a cool dark place. For more detailed processing instructions you may find this post helpful Apricot and Garam Masala Jam. 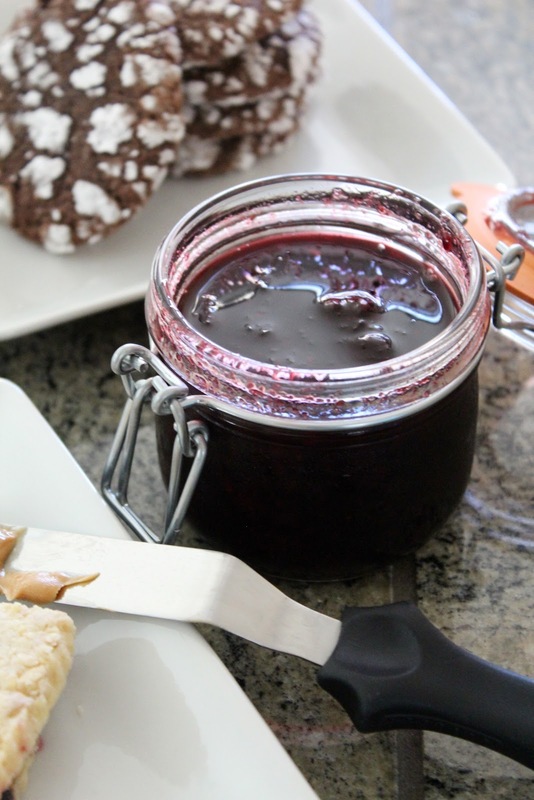 It you plan on eating all the jam within a few weeks, you can skip hot water processing and store it in the fridge. 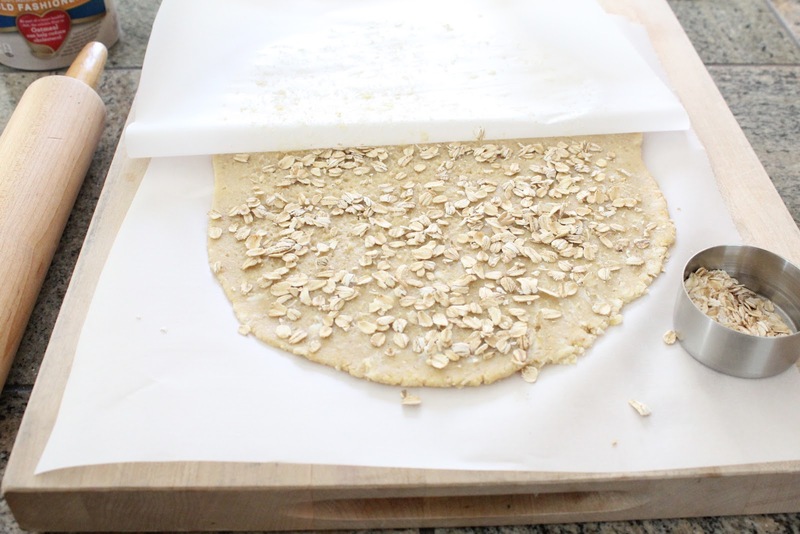 There is something so therapeutic about rolling out cookie dough, I find it hard to even explain. Recipe for the chocolate crinkles if you so desire, these never fail to bring smiles. 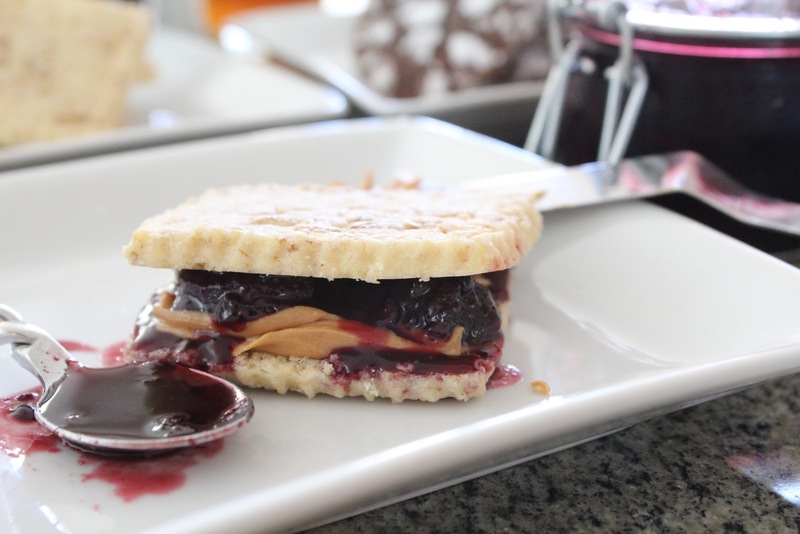 There is something so much more therapeutic about scarfing down a Peanut Butter and Blackberry-Strawberry Balsamic Jam, Oatmeal Shortbread Sandwich that is even harder to explain. Actually I don't think I can ever eat a PB&J on bread again and ever look at it the same way again. Funny how life changes us, for the better I hope. You make the best ever jam so I know this is exceptional! And then your shortbread sandwich... wowza! I'd be in absolute heaven! Berries and balsamic...that's a fantastic combo. I wish I could get to taste your jam some day! Both crinkles and shortbread sandwich look awesome!